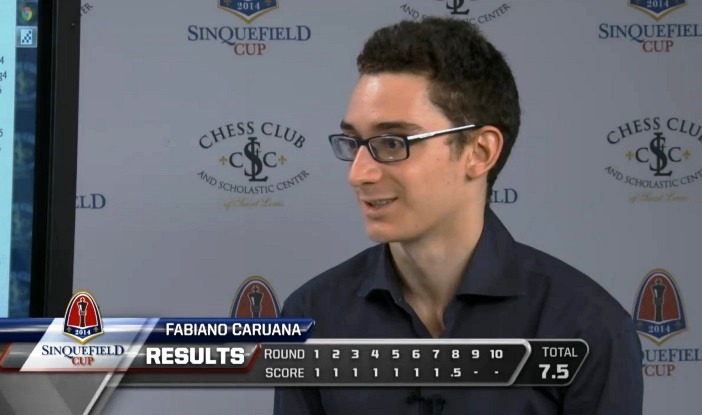 If the Sinquefield Cup had taken place a couple of weeks earlier Fabiano Caruana might have decided he could rely on his rating alone to get him a place in the next Candidates Tournament, but as it is he’s the top seed for the 2014/15 Grand Prix. Big guns such as Carlsen, Anand, Aronian and Kramnik have dropped out, but the line-up remains impressive. We take a look at some of the storylines behind the latest list of names. Since the new Grand Prix series was first announced the line-up has undergone a complete overhaul. Five players have dropped out to be replaced with: the three players on the reserve list – Sergey Karjakin, Boris Gelfand and Shakhriyar Mamedyarov, the four nominees of the host cities (rebranded as “AGON nominees”) – Teimour Radjabov (Baku), Rustam Kasimdzhanov (Tashkent), Ehsan Ghaem Maghami (Tehran) and Dmitry Jakovenko (Khanty-Mansiysk), a single FIDE Presidential nominee – Anish Giri, and two more rating qualifiers – Peter Svidler and Leinier Dominguez. 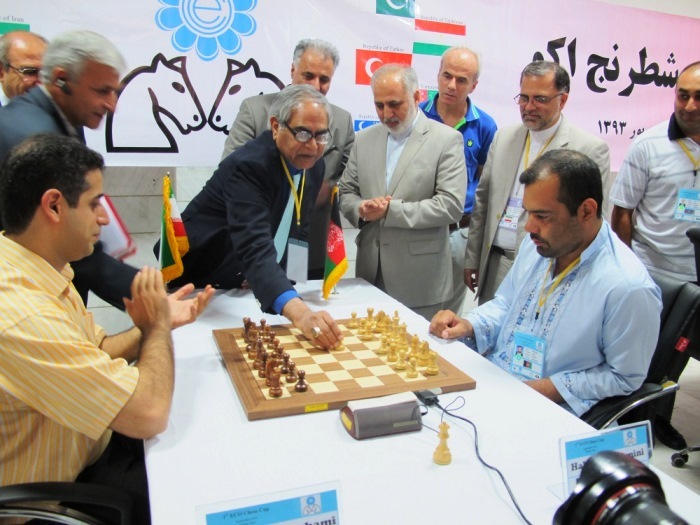 1) Is the Tehran Grand Prix significantly weaker than the rest? It may just be a coincidence, but one thing that jumps out at you from the list above is that the event in Tehran – the most “exotic” location – is being skipped by three of the top four rated players. How does that affect the average ratings? Well, although Tehran is indeed 11 points weaker than the next weakest event all four of the tournaments nevertheless qualify as Category 20 – 2726-2750 – though the gulf may widen once Fabiano Caruana’s new rating kicks in on the official October rating list. 2) Will Ehsan Ghaem Maghami play against Boris Gelfand? Although Boris Gelfand is understandably skipping Tehran, Ghaem Maghami will be paired against Gelfand in Tashkent and Khanty-Mansiysk. In 2011 Maghami was expelled from the Corsica Masters after refusing to play against Ehud Shachar on political grounds. So will the Iranian host city nominee agree to play against the only Israeli (if not the only Jewish) player in the event? Or will Gelfand win by a forfeit against by far the lowest-rated player. The very top players have always treated the Grand Prix with a degree of distain. Why tie yourself down to unstable events with relatively low prize funds in (sometimes) unglamorous venues unless you really need to? This time round, though, it might dramatically reduce the chances of the 2014 Candidates Tournament favourites Levon Aronian and Vladimir Kramnik making it to the 2016 event. Aronian’s rating has taken a battering in recent weeks, while Kramnik has actually dropped out of the Top 10. If they fail to qualify on rating all that would remain is an organiser nomination or the FIDE World Cup – Vladimir Kramnik did manage to win that event in 2013, but getting to the final of knockout events is not an easy trick to repeat. Of course by 2016 there’s also a question mark over whether Kramnik will still be an active player at all. Talking of which… perhaps one of the biggest surprises on paper is the absence of former World Champion Veselin Topalov, the winner of the last Grand Prix series and a man now up to world no. 5. He was on FIDE’s initial list, but chose not to take part, despite the fact he’s never been a fan of the rapid chess required to have a chance in the World Cup. Objectively speaking at the moment I think Magnus is just a different class. My ambition now is to try and get in again as a candidate, but it depends a little on the next cycle. I don’t know if I will play the FIDE Grand Prix. First they have to announce it and then I’ll see, but I didn’t like the first two so much, because they were always changing cities and contracts were very unclear. I assume it depends a little bit who wins the election. This should be the least surprising decision imaginable – Russia, who have a 6-player battalion in the Grand Prix – choose to nominate a player rated no. 4 in Russia and no. 18 in the world. It wasn’t quite so straightforward, though, since despite originally being nominated for the 2014 Olympiad Jakovenko was later replaced by Ian Nepomniachtchi. Jakovenko made his disappointment with that decision known, but clearly didn’t upset too many people and now has three tournaments to make his mark – gold dust for top players like him who still can’t command supertournament invitations. It wouldn't be the FIDE Grand Prix series without a few last-minute alterations. 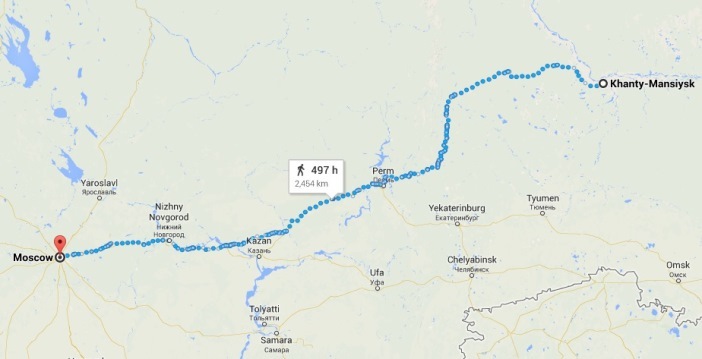 The Russian capital city listed as the final venue for May 2015 has now turned into Khanty - which we assume means the chess capital city of Khanty-Mansiysk. That may also have favoured Jakovenko, who is, if not quite a local (he was born in Omsk) then at least a native of Siberia. Do you have your own observations on the line-up? Should Wesley So have been tried in place of Anish Giri? And who's going to win? The first Grand Prix of the new series starts on 1 October in Baku.